“Fuseables” is a new technology where several different varieties and/or species are moulded together into one pellet, which resembles a large seed. While the pellet looks like one seed, it may actually contain 3–5 seeds (perhaps more). The pellet is formed with a very fine clay (like talcum powder). The resulting growth forms a fantastic and unique fusion of foliage of the different plants. This uniqueness cannot be achieved by transplanting individual varieties. This technology has been applied to both flowers and vegetables and we are thrilled to be able to offer it to you, the home gardener. Growing fresh, healthy, mixed salad blends has become so simple with fuseable pellets. Each fuseable pellet contains a mix of tasty, well-suited greens that can be grown in 10–15cm pots and bowls. 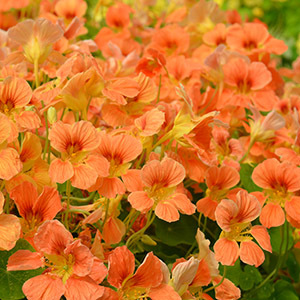 These can be enjoyed as both colourful, mixed-textured ornamentals, or as delicious, nutritious edibles. When harvesting, cut the plants back no lower than 5cm. Do this every three weeks or so and you will be rewarded with several more fresh salads! 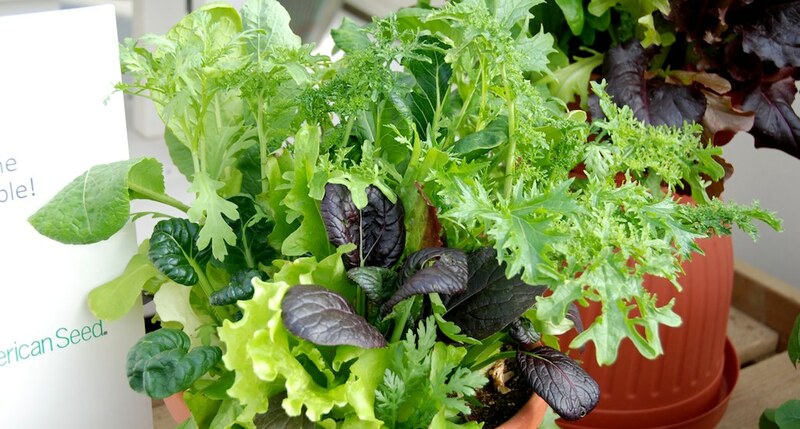 Like many leafy greens, these can be grown in spring, summer, and autumn. However, you will find that when grown in the cooler months of spring and autumn the plants product more vivid colours. If you choose to grow your salad bowls indoors be sure to keep them in high light—we would also recommend that you pop them outdoors periodically. An ideal situation would be to have one bowl indoors and one outdoors, then alternate them. You can see from the lovely images on this site how well the plants fuse together. If you were to try and mix individual plants in the container, the result would be more “clumps” of the different colours, as opposed to the nice “sprinkling” you can see here. The cost to produce these little beauties is greater than simply packaging up seeds. However, we feel they are value for money if you are wanting to create that spectacular display in both your containers and garden—give them a try!